Setting the new standard for airport services. Driving facilities success through the implementation of industry-leading systems. The state of Washington has some of the most comprehensive dangerous waste regulations in the country, so Frank always has to be up-to-date on industry-leading best practices and aware of how to incorporate these practices into staff training. Improving facilities services with a team-first attitude. 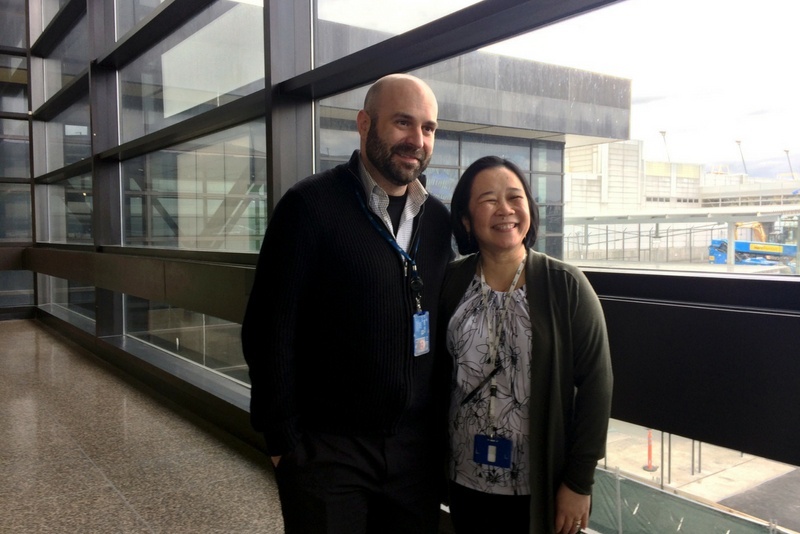 And although Frank and his team have been at Sea-Tac for just over nine months, they are already seeing some amazing results. This is just the beginning of the great work that C&W Services is doing at Sea-Tac International Airport. Read about the fleet of autonomous floor scrubbers that we have implemented at the site, and learn more about how Frank’s experience in waste disposal has helped him develop a truly hard-working, collaborative culture at the airport. Frank is one of many stories we have from the field that demonstrate how our team’s culture is the background of our service delivery success. We pride ourselves on delivering a broad portfolio of services, developing and empowering our people, and defining a new status quo.